Roasting the carrots brings out their flavor. Preheat the oven to 225C/440F. 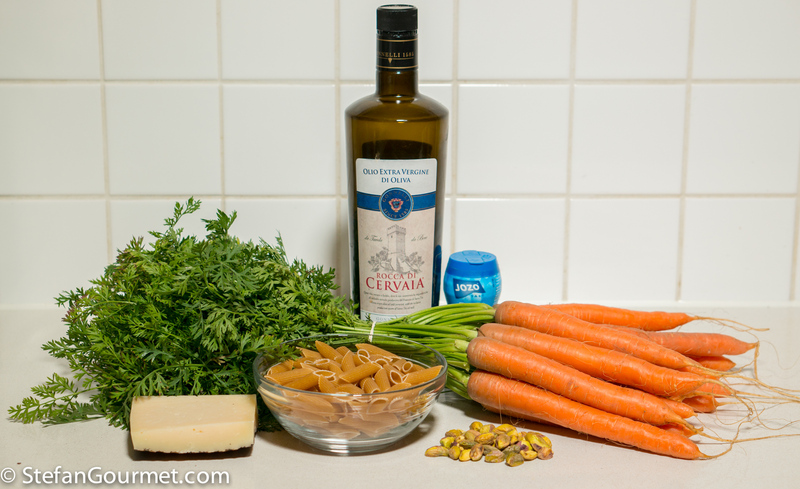 Peel the carrots, cut them in quarters lengthwise, and in pieces that are roughly the size of the pasta. (Click here to read about matching pasta shapes with pasta sauces.) 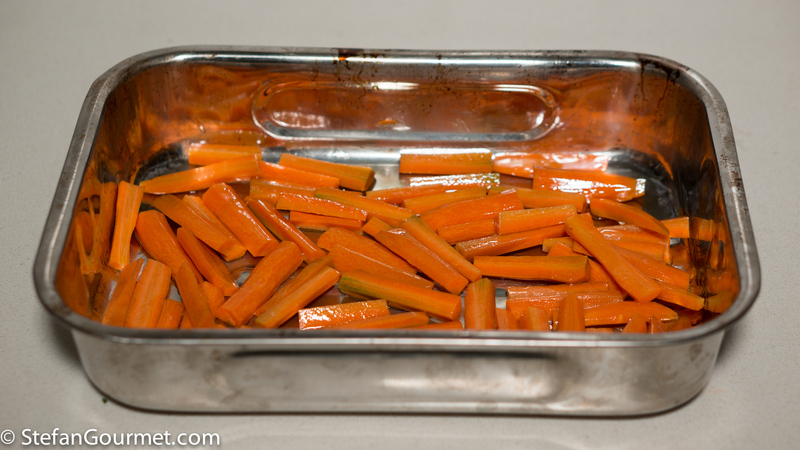 Put the carrots in an oven dish and toss them with some olive oil until they are coated with the oil. Roast the carrots at 225C/440F until they are tender and starting to catch, about 30-45 minutes. Stir them every 15 minutes or so. 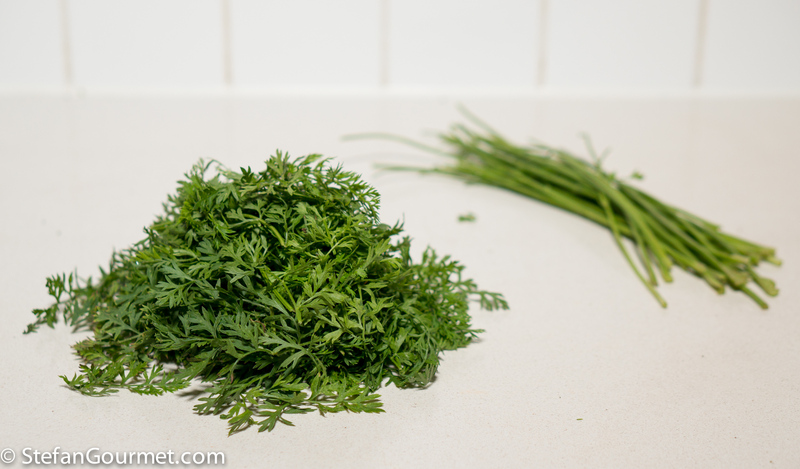 Meanwhile, select the best looking carrot greens and separate the tender leaves from the tough stalks. 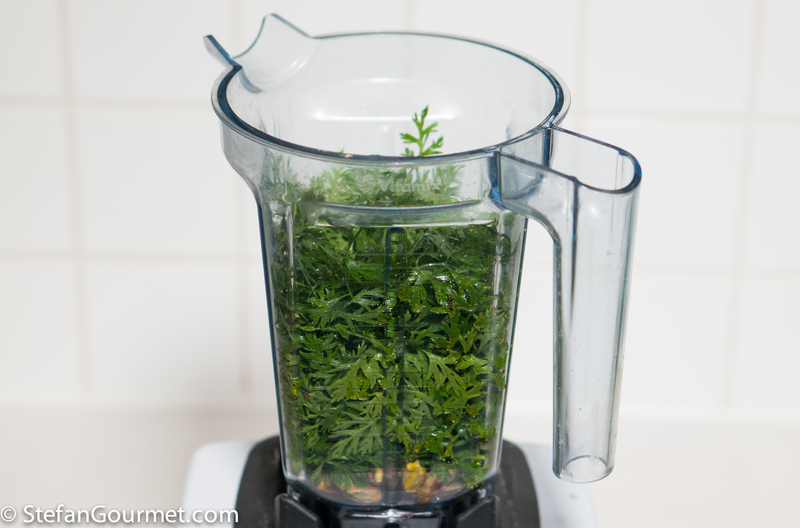 You will need about 50-60 grams (2 oz) of the leaves. 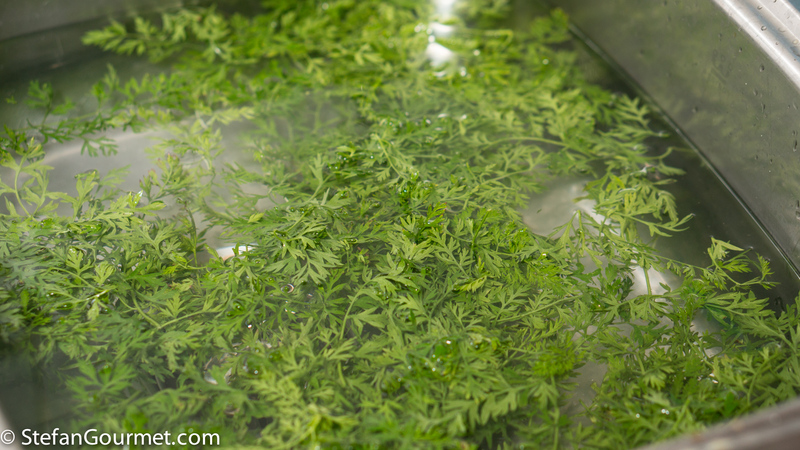 Wash the carrot greens at least once, but more times if needed, and spin them dry. 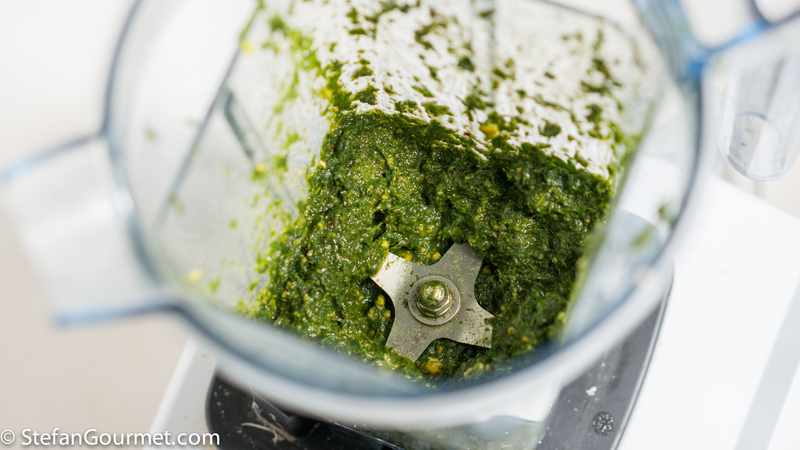 Put the carrot greens in the blender together with 20 grams of pistachios, salt, and about 60 ml (1/4 cup) good quality extra virgin olive oil. 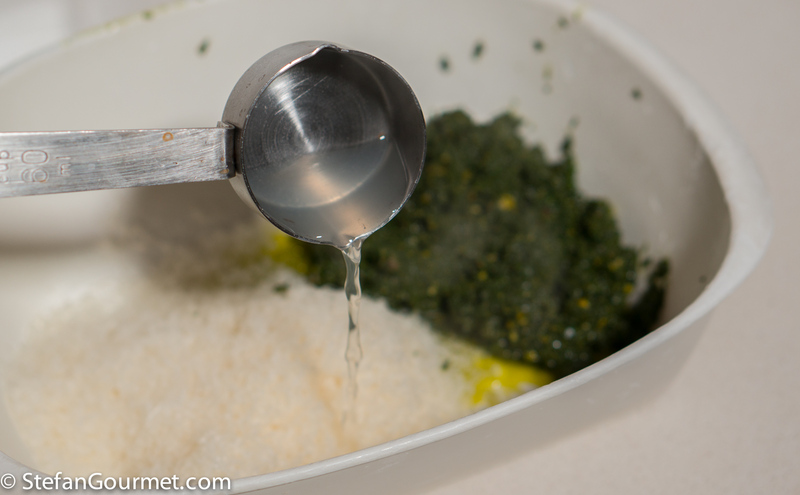 Blend until smooth, adding more olive oil as needed. …and stir to mix. 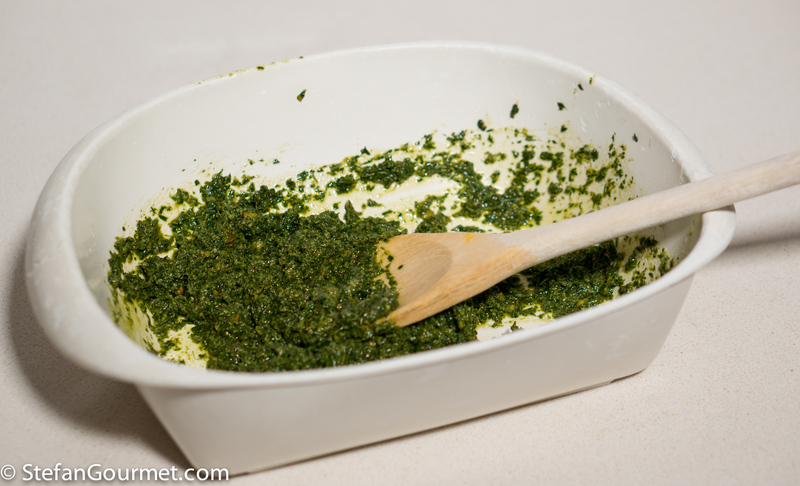 This loosens up the pesto to mix it with the pasta. 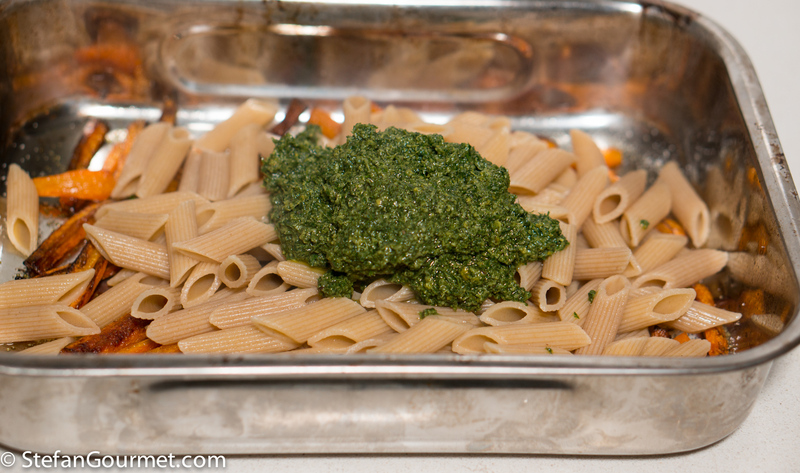 When the pasta is done, drain and add to the carrots in the roasting tray together with the pesto. Toss to mix. Taste and adjust the seasoning with salt. Serve on preheated plates, garnished with some more freshly grated pecorino. 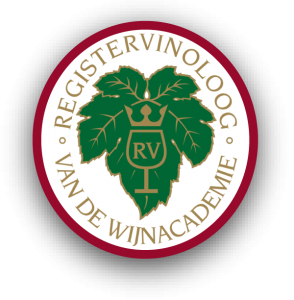 This works well with a white that has a pleasant ‘green’ flavor, such as a Godello (from Valdeorras in Spain), a Friulano (from Friuli in Italy), or a Verdejo (from Rueda in Spain). A Sauvignon Blanc that is ‘green’, such as from the San Antonio Valley in Chile, would also be a good choice. 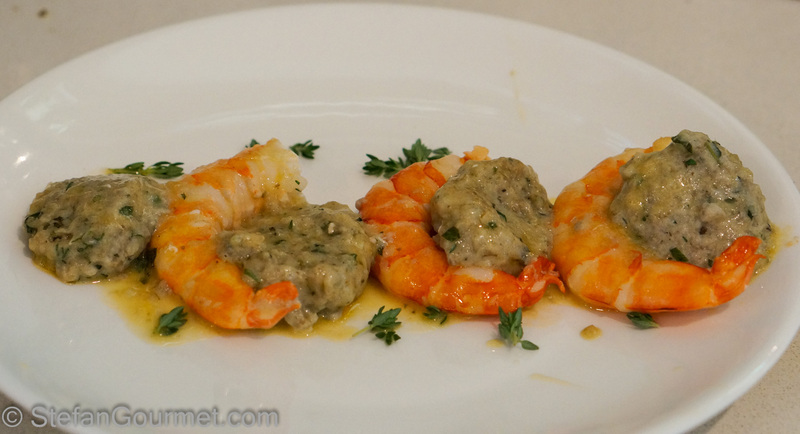 An appropriate flashback for today is eggplant dumplings with shrimp, which was also inspired by Marina. Questo pesto mi era già piaciuto da Marina. Così il piatto è davvero completo. I have never used the carrot tops before, will have to try. I have used the green tops from my garden radish though and it does feel good to use everything and not waste. Grazie Stefan. Buona l’dea delle carote. Methinks all of us owe you a thanks ’cause I too have had the habit of binning carrot tops – I also kind’of thought of them as mildly on the poisonous side. Well, I can’t afford to buy everything organic, and e’thing does not come thus here, but I surely am going to try this! Thanks!!! Quite experimental! I assume you liked it? Nice to see you using healthy alternatives including whole grain pasta. I love carrots and would give this a try – thanks! What a great use for something for which most of us give little thought. 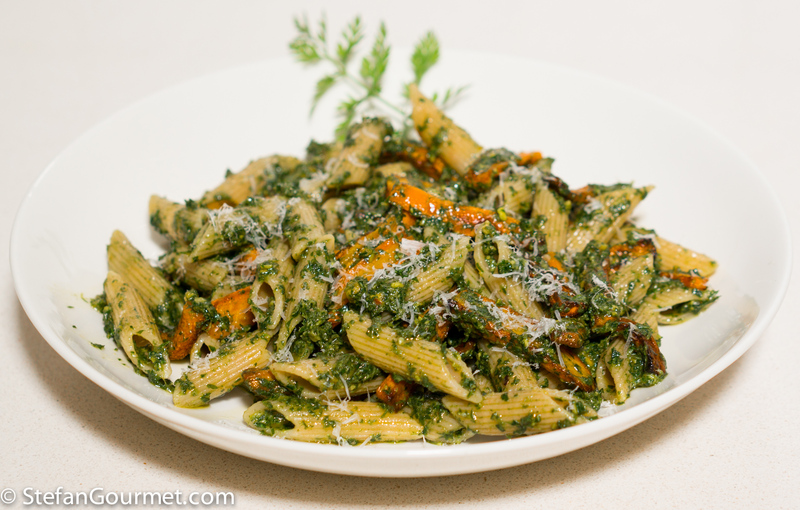 Carrot top pesto. Fantastic! 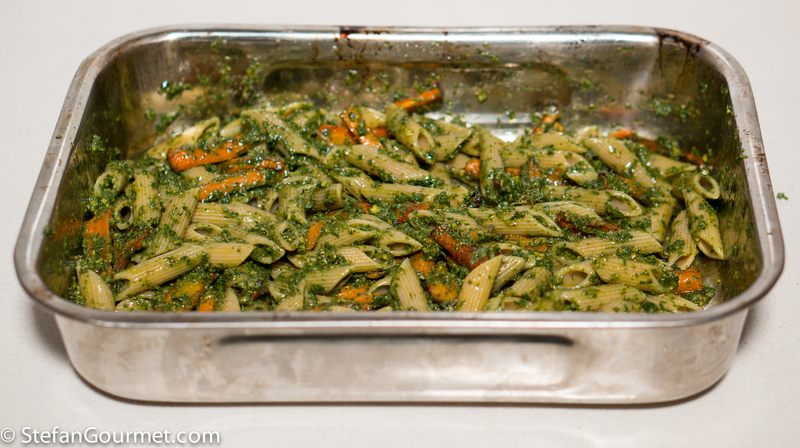 Love the idea of a pasta with roasted carrots. It’s not normally done here and would be a welcome change.